School gardens provide an integrated context for learning about food, nutrition, science, math and more! School Gardens can be rich, vibrant spaces for young people to deepen their understanding of local foods. Browse below for resources, ideas and materials that can support a school garden program. Coming soon –Starting Your School Garden: Download this beginner’s guide to getting started on growing a plan to build and sustain a school garden. From crafting a school garden team to managing volunteers, learn best practices to set your school up for success. School Garden Planting Guide – When do you plant carrots in Western North Carolina? How deep do you tuck the chard seeds into the soil? Download these fun and engaging planting guides for Eastern and Western North Carolina. Strawberries in Schools – an NCCES publication on growing schoolyard strawberry gardens to provide rich spaces for students and teachers to explore concepts relevant to their curricula in a hands-on, experiential way. North Carolina 4-H Garden-based Curriculum – Browse this list of curriculum that is available through your local county 4-H Cooperative Extension agent. Find out who your 4-H agent is here. Junior Master Gardener – A 4-H program from Texas A&M University have been delivering garden and nutrition lessons that are fun, easy to use and is sure to inspire a new crop of young gardeners. NC Ag in the Classroom – Through the NC Farm Bureau, Ag in the Classroom provides lesson plans that teachers can use to connect their kids to the farm and garden through science, math, literacy and social studies. Food, Land and People – a program through the NC Division of Soil and Water, this comprehensive curriculum is available to educators for free after attending one of their trainings. 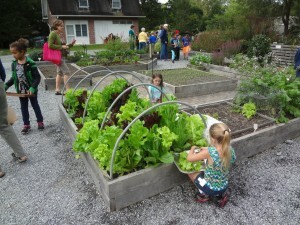 The Edible Schoolyard – a database of lessons developed from garden educators across the country. 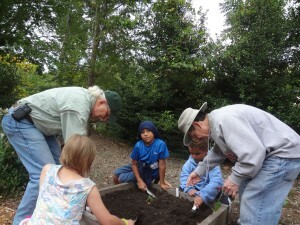 Life Lab – a non-profit organization from Santa Cruz, California that has been delivering high quality and innovative garden based education for yearss. Garden Mosaics – Cornell University science curriculum for youth, including action projects and community food assessments.